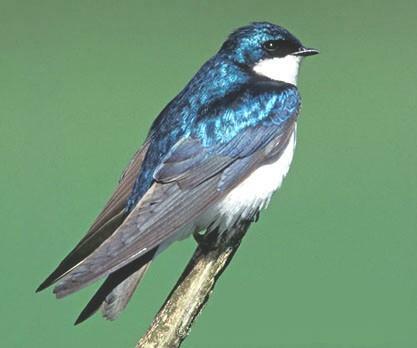 The tree swallow is a hole nester and often faces a housing shortage and must fight to get into sought-after nest sites. 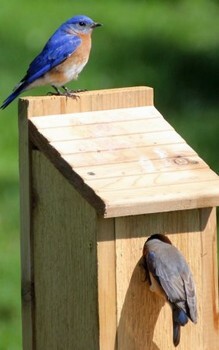 Man-made nesting boxes may help increase the numbers of these birds. 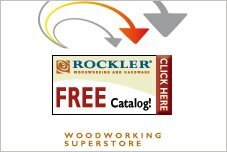 Build a birdhouse or nest shelf with one of these free plans. 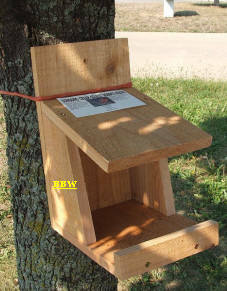 You can watch this video or read how to build a bird specific birdhouse to place in a tree or on top of a post. 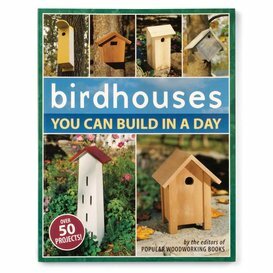 Bring the birds to your yard by building them a birdhouse. Here are diagrams for helping you build your own robin or swallow birdhouse. 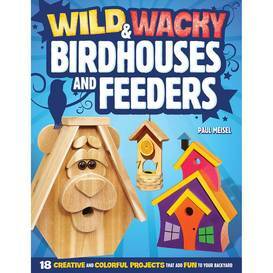 This birdhouse is easy to create and will give you hours of enjoyable bird watching. 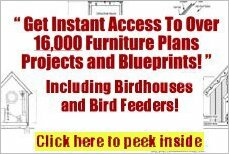 Pick from several different nest box plans for a variety of bird species. 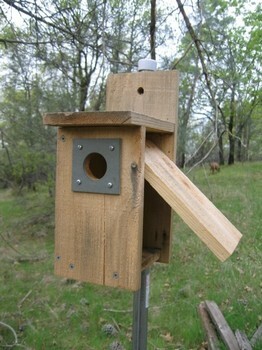 You will find nest box plans for wrens, bluebirds, kinney swallow and more. 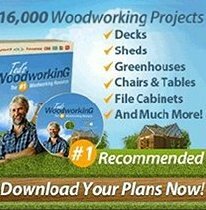 This birdhouse plan is very detailed and has helpful tips to help you build a great looking birdhouse for your yard.